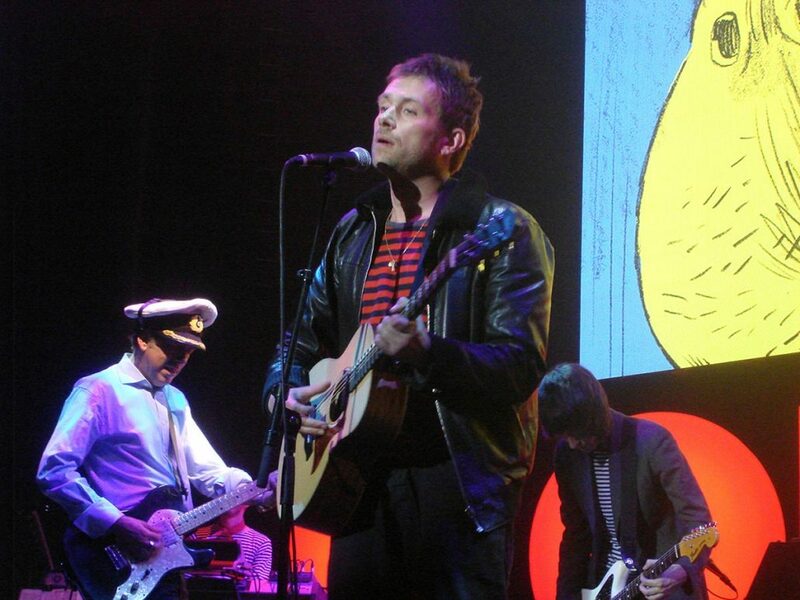 Damon Albarn and Jamie Hewlett are genuises. There, I’ve said it. To create a fictional cartoon band so compelling that it eclipses a vast portion of real contemporary outfits is one thing; to then present it as a living, breathing, multi-media/multi-artist live experience such as the one I witnessed along with an audience of wide-eyed disciples was quite another. 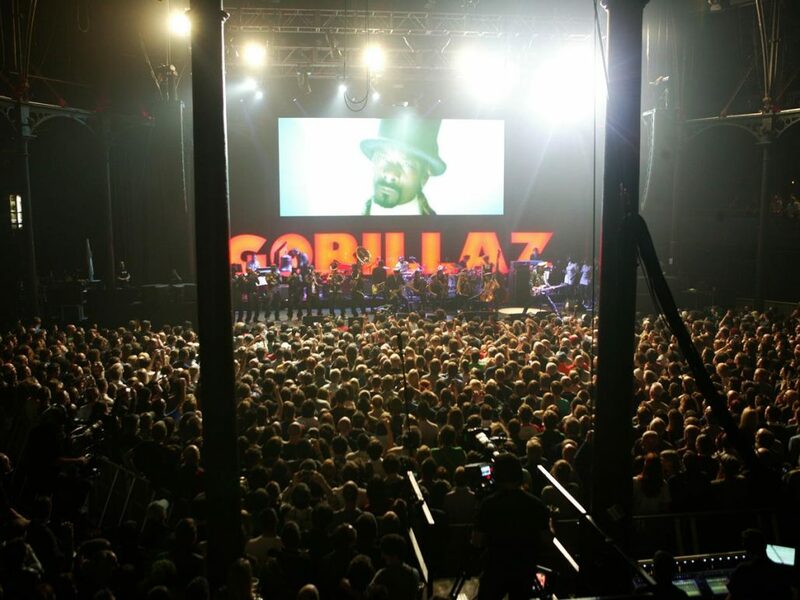 Expectations were high amongst the eager crowd who queued up along Chalk Farm Road at the end of April to be close to the front of the stage when Gorillaz played their first full UK show in five years at London’s Roundhouse. Bobby Womack, Shaun Ryder, Super Furry Gruff Rhys, Mos Def, De La Soul, Kano, Rosie Wilson and an on-screen Snoop Dogg: these were just a few of the featured artists appearing in succession to front a seemingly effortless combination of world music, hip-hop, rock, drum’n’bass and melodic pop, drawn from the latest album, Plastic Beach, as well as the sophomore Demon Days and the eponymous début. 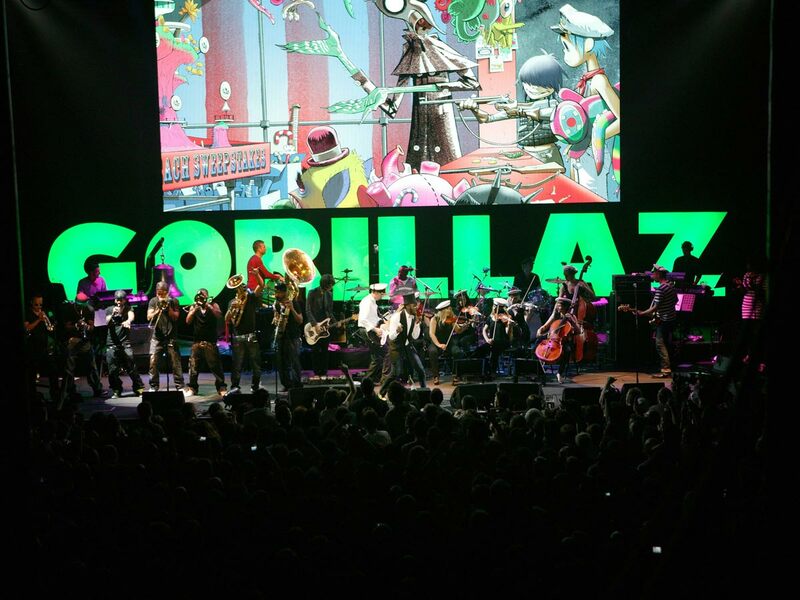 They – and the virtual characters of 2-D, Murdoc, Noodle and Russel Hobbs – were the icing on a musical cake that relied on a massive array of around 60 musicians, including former Clash compadres Mick Jones and Paul Simonon, the seven-piece Demon Strings, the 10-piece National Orchestra of Syria and eight-piece Hypnotic Brass, with everything falling under the savvy stage management of Eric Durett. And then there was Albarn himself, the restless musical mastermind, providing lead vocals throughout and brutally bashing away at his piano. Not even this colourful cast could eclipse the magnetism of the Blur frontman who was enjoying every second of seeing his studio ‘baby’ come to life on both the big screen and the stage. I arrived at the Roundhouse midway through an afternoon soundcheck and watched the proceedings with fascination along with Jamie Hewlett and a friendly chap whom I later discovered was none other than Mr. Womack. 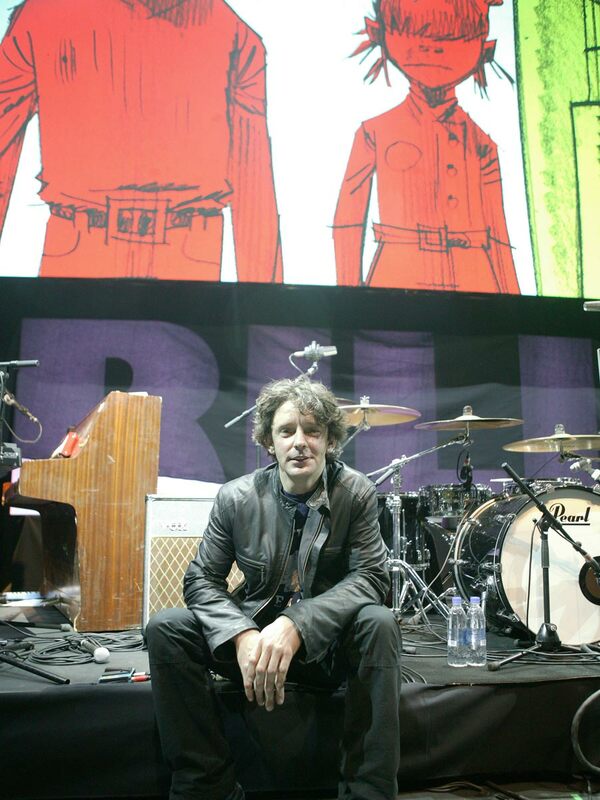 Very soon, I was in the company of tour director Craig Duffy, who has been working with Albarn for 14 years but still considers himself the new boy in comparison to other crew members whose association dates back to Blur’s early days. 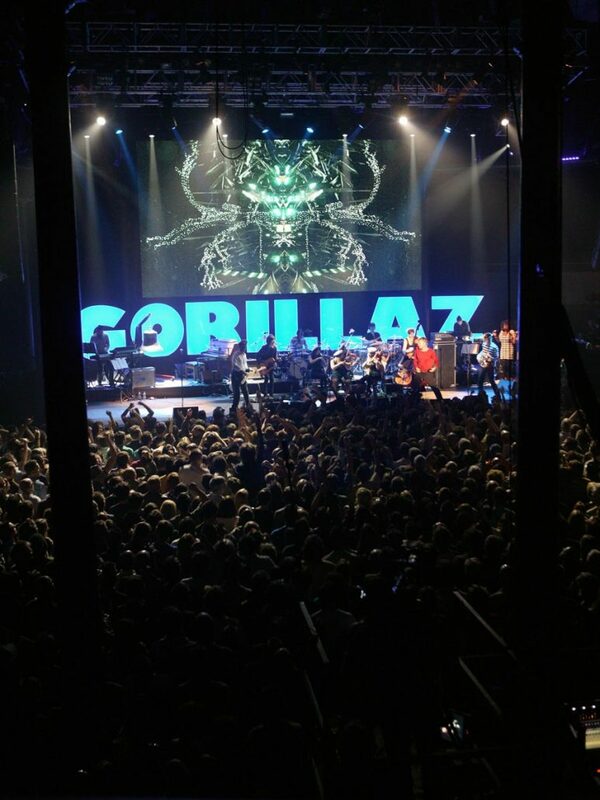 “We all happily get sucked into the continuing Damon Albarn merry-go-round and generally get involved with anything he’s doing – from Blur to Gorillaz and most things in between,” he said, whilst negotiating Eat To The Beat’s provision of dressing room catering. For the earliest Gorillaz shows, the musicians were hidden behind screens, performing a live soundtrack to Hewlett’s projected animation. 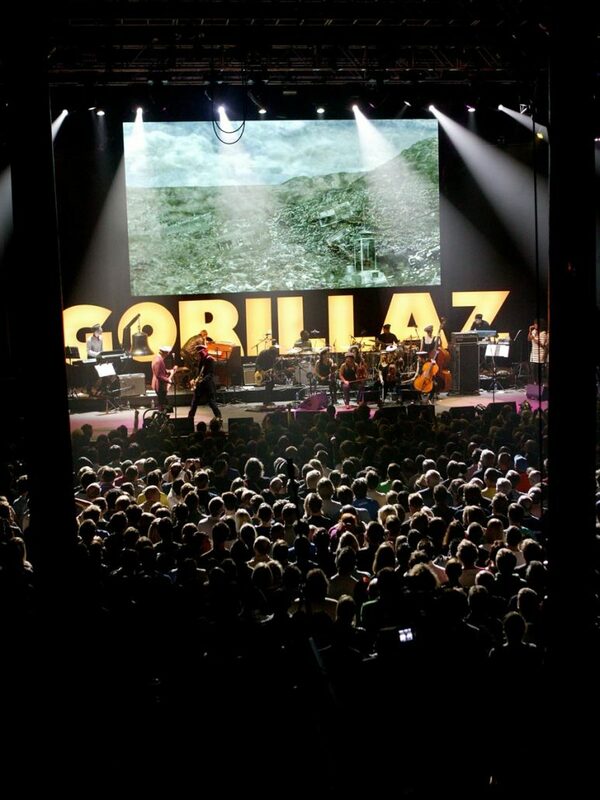 In 2005, the Demon Days production at the Manchester International Festival and in New York marked the first time that the musicians and special guests were brought out on to the stage. 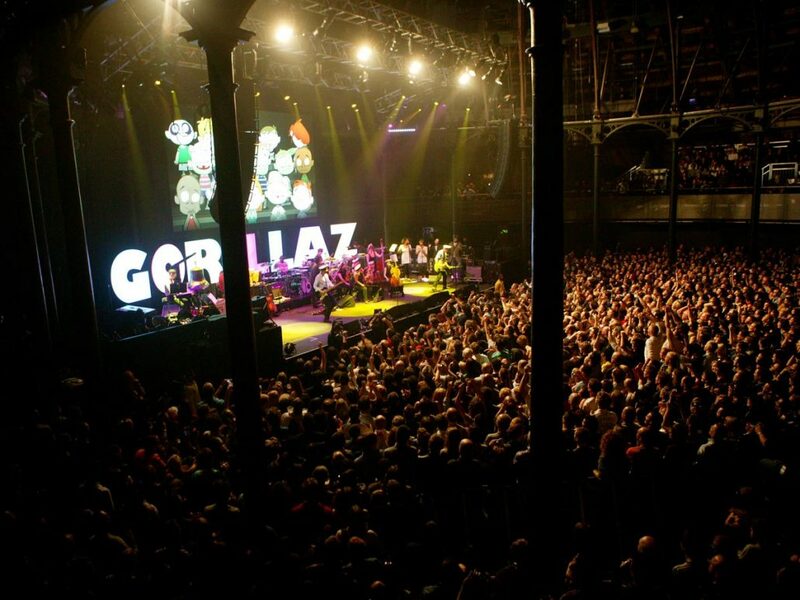 Initially rehearsed at John Henry’s north London studios with Steve ‘Pud’ Jones leading the production, these new shows took that format one large leap forward and Craig Duffy promised that the Roundhouse production will be dwarfed by what’s in store this September at London’s O2. He said: “It’s a reduced ‘teaser’ show here that still requires three trucks’ worth of gear and hours upon hours of Pete The Greek’s finest rigging. It’s very theatrical with a running theme and although it’s not a fussy design as rock shows go, there’s a lot of precision involved in how the music lines up with the video content, especially when there’s lip synch with artists on screen. 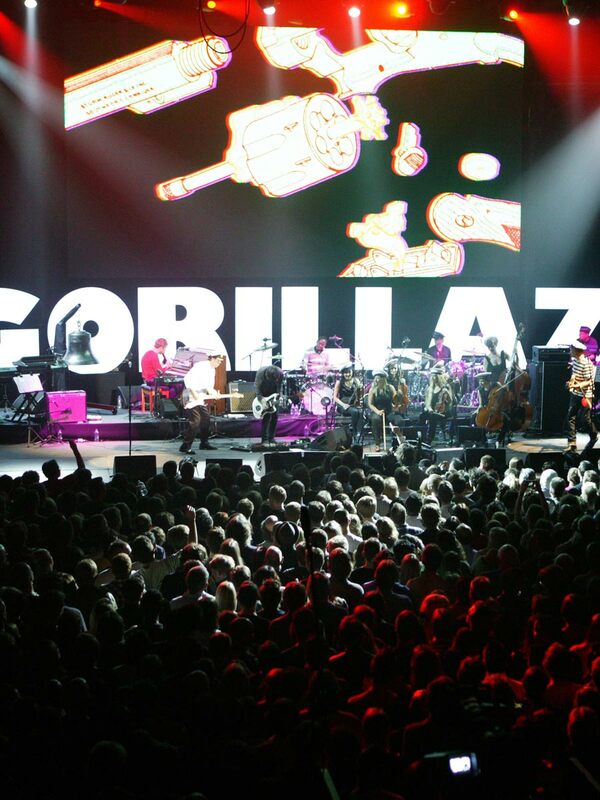 Jamie Hewlett is the man behind all of Gorillaz’ imagery and animation. He and producer Cara Speller at his company, Zombie Pictures created a mesmerising video package for the shows that combines stills from storyboards, original music videos and specifically shot footage, plus pre-existing library material, including film from the Vietnam War. 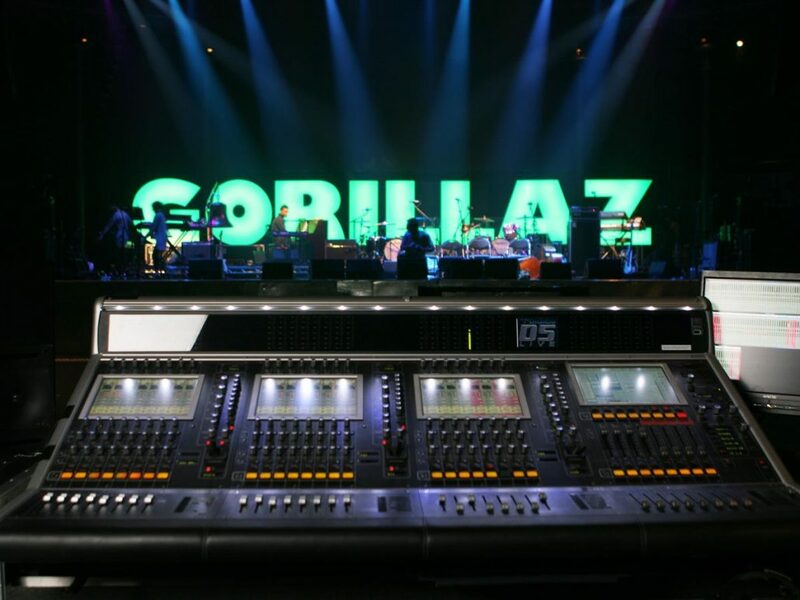 Along with all video production hardware and crew, the Barco NX6 LED screen was supplied by XL Video, whose account manager, Des Fallon, was proud to be involved in his third Gorillaz project. Richard Turner designed the overall video system. 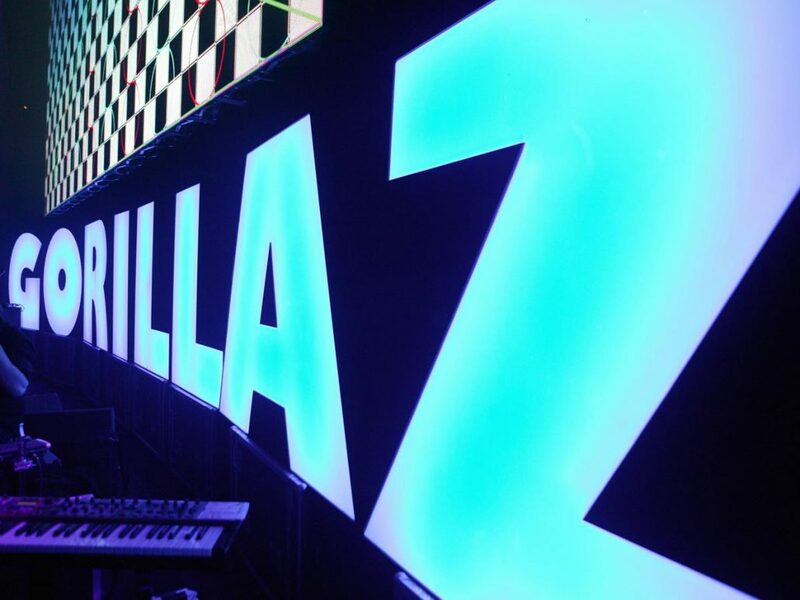 Now working for LED fixture manufacturer, i-Pix, Dave Byars was Blur’s lighting designer throughout their original incarnation and has returned to the Albarn fold as the designer of the striking lightboxes that spell out the Gorillaz name onstage. As Duffy explained: “The idea is a follow-on from something we used on Demon Days to silhouette the band. We wanted to make large letters as an oblique reference to The Great Rock’n’Roll Swindle, which acted as lightboxes and that could change colour at the click of a button, as well as be tour-friendly. 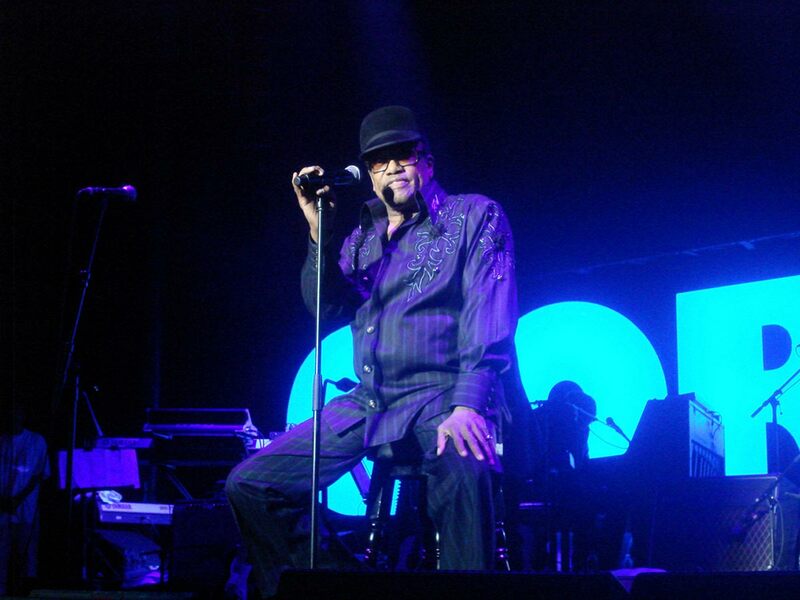 As well as racking up credits with Ray Charles, Atomic Kitten, Billy Ocean, Sugababes and The Good, The Bad & The Queen, LD Lec Croft has been lighting Gorillaz since Albarn and Hewlett first took their concept to the stage in 2005. “It was the first time I’d ever been asked to work with a cartoon band and my brief was not to light them, which was interesting!” he said. Croft’s main contact at Entec has been “the lovely” Noreen O’Riordan. 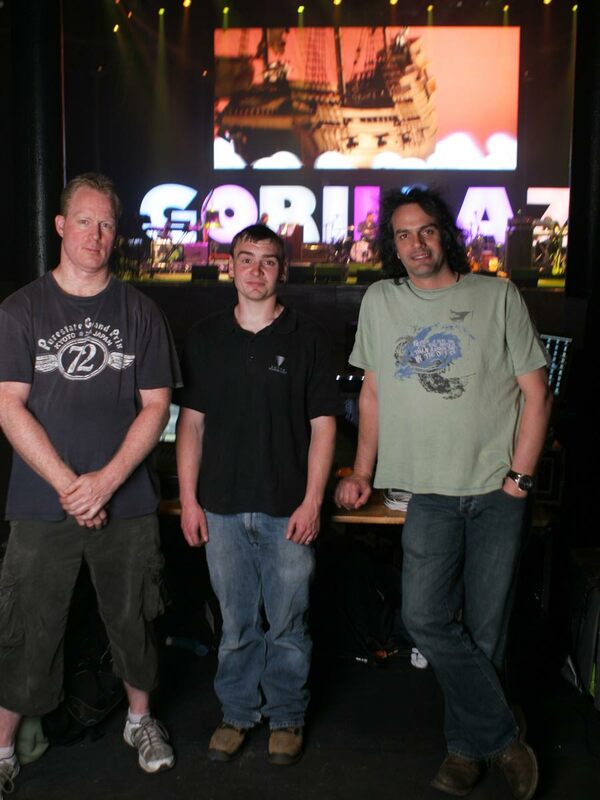 “The rig has changed on a few occasions in line with a tight budget and originally we weren’t going to use Entec at all and go ahead with the house rig which would have proved difficult as it would have meant having to re-program the entire show. Croft controlled the show from a first generation grandMA full-size console. “It’s a good desk for this kind of show. 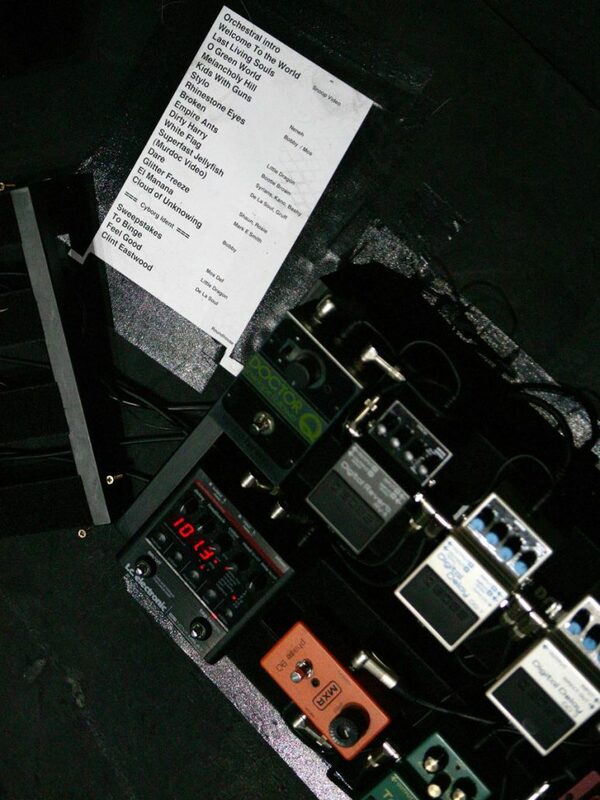 I like to stack up the cues and run theatre scenes for every song,” he said. 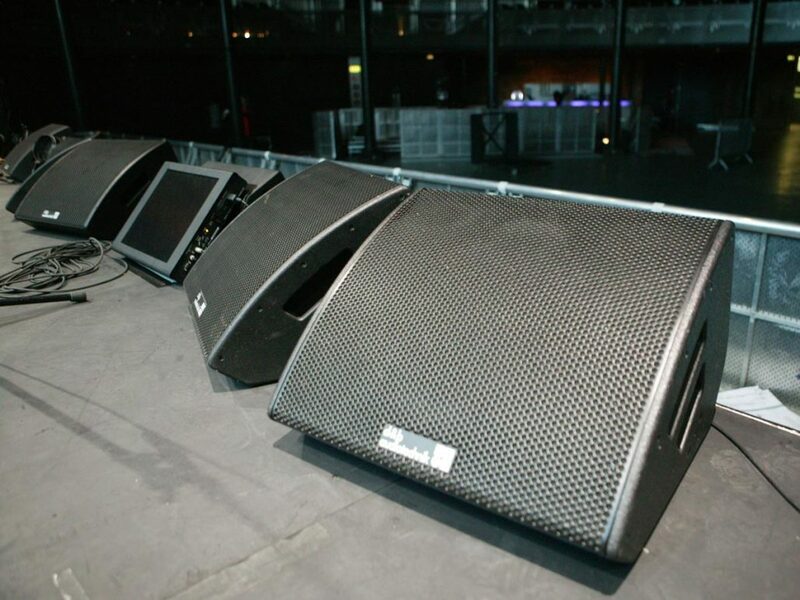 Six Thomas 4-lite Molefays, a pair of Pani HMI followspots and DF50 hazers were also included in Entec’s rig and although LEDs were used inside the letter lightboxes, Croft didn’t specify any LED fixtures as part of his design at the Roundhouse. He did, however, mention that for the arena shows later this year, the screen and the lightboxes will be raised, allowing rows of PixelLines to light a rear scrim and create another layer of colour. With so many musicians coming and going onstage, the job of mixing the Gorillaz show would appear to be a job and a half. FOH engineer Matt Butcher attempts to simplify the task as much as possible, and his weapon of choice is the DiGiCo D5 console. 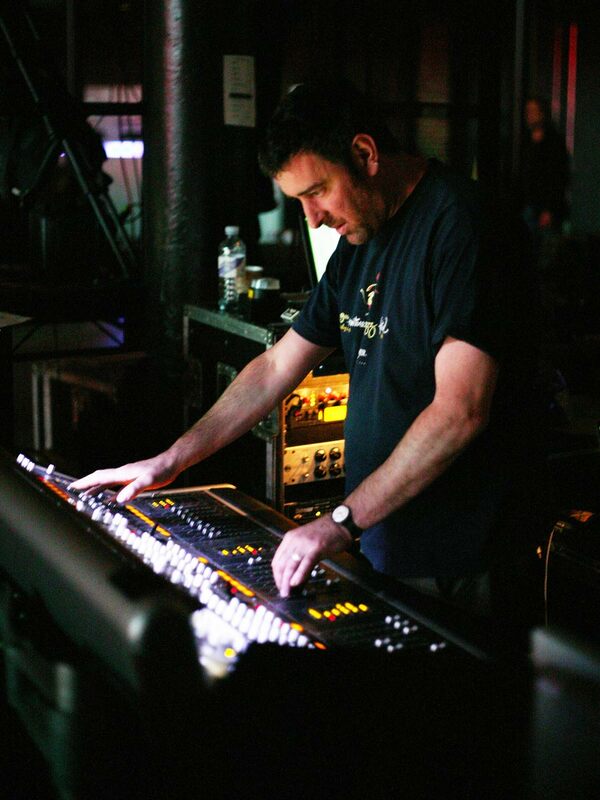 A Blur veteran from the 1994 Parklife tour onwards, Butcher was working with 102 mic lines plus comms channels. “The desk is completely full and the stage box looks hilarious!” he grinned. 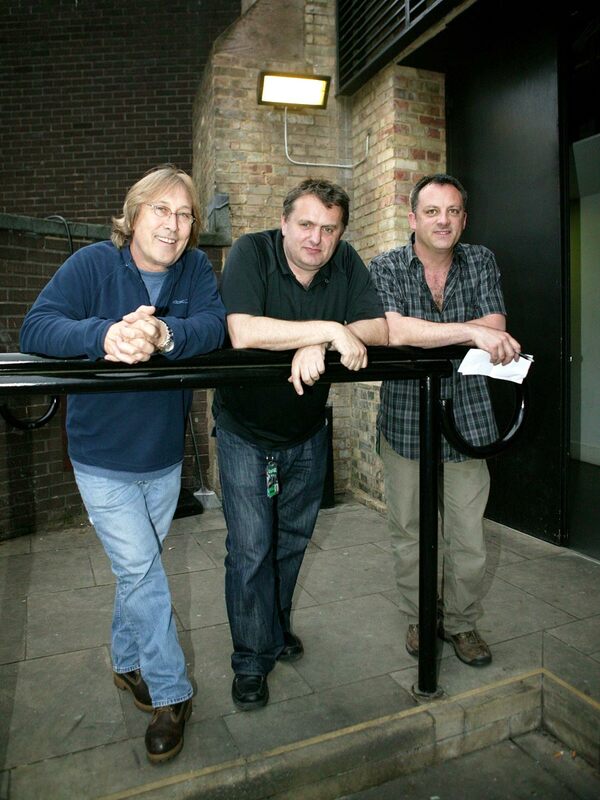 “Having two drum kits doesn’t help, of course, but my tech, Basil Fernley, has really helped to ‘stretch’ the D5. Was he spinning any special effects into the mix? “There are quite a few echo and delay cues, especially on Damon’s voice. I have an outboard rack with a TC D2 and a couple of Lexicon PCM81s in it, plus I’m using some of the internal effects for reverbs and delay for snare drums. Although Butcher described his microphone selection as “very standard”, one departure from the norm was a Shure 527B CB-style mic with a modified push-to-talk switch that was used for distorted vocal sounds on songs such ‘Stylo’ and ‘Rhinestone Eyes’. “I’m a great believer in getting the right sound at source,” said Butcher. While Entec supplied the mics, control and monitor package, Gorillaz took advantage of the Roundhouse’s resident Outline line array. 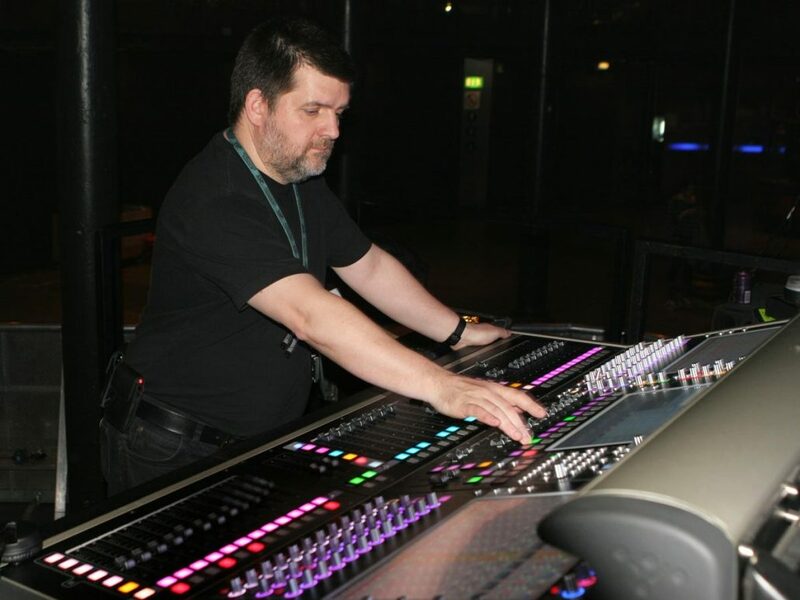 Like Butcher, monitor engineer Dave Guerin also had his hands full with masses of inputs and mixes on a DiGiCo SD7 that Entec sourced from Paris before buying its own. The hard-wired IEM systems were Shure P6HWs, while Sennheiser G2 300ew was the wireless choice. Also in service were d&b M4 wedges run in passive mode and Q7s as sidefills. Guerin claimed that no other console that he knew of would have been able to accommodate the sheer volume of activity. “There wouldn’t be enough graphics on the D5 and none of the rival desks would have enough inputs or outputs without some clever bussing. 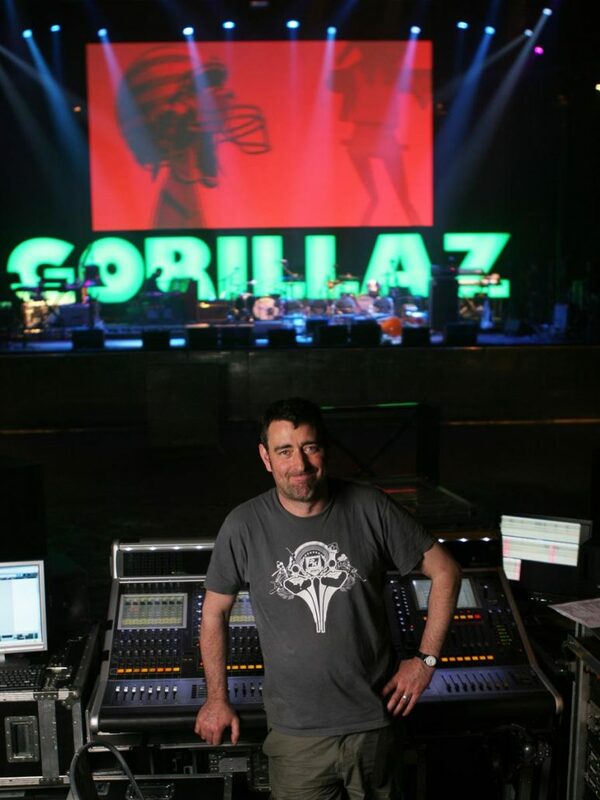 Assisted in monitor world by Adam ‘Shabby’ Draper, Guerin added: “The internal processing is brilliant but the one thing not included is an octave-up harmoniser, so I’ve got a Yamaha SPX90 Mk.II for that – my only outboard item. The last member of crew to come under TPi’s scrutiny was Stuart Lowbridge who, along with Ossie Henderson and Jason Wardman, runs the good ship ‘backline’. But Lowbridge would be the first to admit that his role as Albarn’s ‘man on the ground’ far exceeds that of a regular backline tech. He explained: “I suppose I’m Damon’s eyes and ears, second to Matt at FOH. On a show that’s as epic as this, Damon needs to trust someone as his ‘representative’. Having worked with him for the best part of 20 years, through thick and thin, he relies on me to be the person who ensures that the show is running the way he wants it. 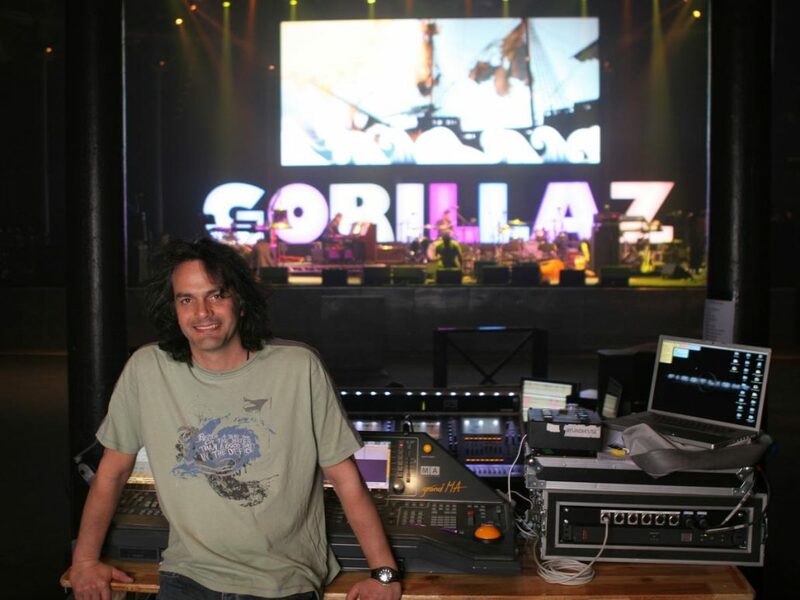 “I spent a month in a studio with Mike Smith and engineer Steve Sedgewick, isolating all the individual parts on the Plastic Beach album and assigning them to the musicians. Now that we’re live, I’m with Matt during soundchecks to approve the backline layout and observe the sound from a musical perspective.